Language & Culture Special: Halloween in Latin America - My Language Hub Ltd.My Language Hub Ltd. Language & Culture Special: Halloween in Latin America - My Language Hub Ltd.
Is Halloween celebrated in Latin America? Despite the conception that such a pagan tradition as Halloween may not be celebrated in Christian and Catholic countries, we have seen that in Spain there is a crossover between the witch-associated festival with the religious celebrations. From the North to the South of Latin America, let’s have a look at how Halloween is celebrated in the New Continent. Spain is not the only country that has borrowed certain traditions from overseas. Halloween is also celebrated in Mexico, which may not come as a surprise, due to its proximity to the States. Sharing the stage with the traditional Día de los Muertos (Day of the Dead), on 2 November, like in Spain, this Halloween acquires a unique Mexican touch. In the same way as in the Old Continent, Halloween is a three-day celebration representing both life and death. It starts on 31 October, like in the rest of the world, where you can see many children trick-or-treating with their scary costumes. In the run up to this time, some houses and businesses are decorated with skulls, pumpkins, witches, spiders, cobwebs, and the like. On 1 November, All Saints’ Day, people make religious offerings and start the preparations to honour the Dead and their beloved ones on 2 November. Streets are filled with altars decorated with skulls, flowers, sweets, and all kinds of food, bread and cakes. The pan de muerto (bread of the dead) and calaveritas dulces (sweet skulls) are probably the most popular delicacies prepared by the Mexicans. Far from being a sad festivity, this is an opportunity to celebrate life and to share time with those who are no longer physically in this world. It is a time of parties and lots of laughter, with streets full of colour, music and, above all, lots of food. Although not part of the festivities traditionally celebrated by Argentinian families, the typical tradition of the 31 October, Noche de Brujas (Night of the Witches), has become increasingly popular. Probably due to the large crowd of expats in Buenos Aires, it has steadily grown, with more and more American-style Halloween parties each year. 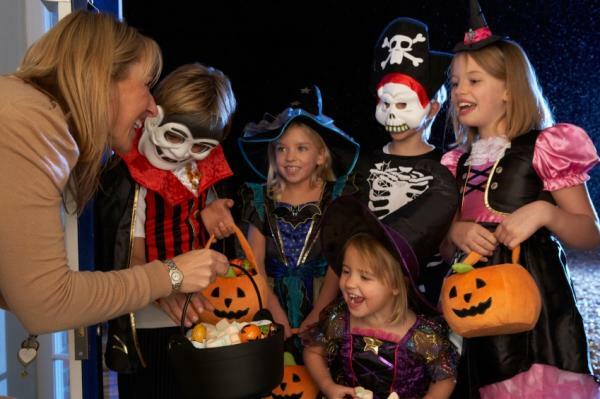 For the little ones, going to school wearing a costume is now an every-day thing, and later on on the day of 31 October, they go trick-or-treating, knocking on doors “scaring” families and receiving sweets in return. For the young people this celebration has a twist. Instead of going out asking for sweets, they tend to go out and celebrate Halloween at a disco, club or pub with friends, all dressed up. The parties are decorated with images and decorations so frightening that they can give you the chills! For the not-so young, this is not a celebration they take an active part in, but rather, they become spectators of the little and young people strolling the streets, all dressed up in spooky costumes. This is an event where people have lots of fun, and a great excuse to dress up! But it is probably too much to say that this tradition forms part of the Argentinian culture. In a similar way to Mexico and Spain, people tend to visit and take flowers to their loved ones in the cemetery during the 1 and 2 November. It is evident that the pagan festival of Halloween is celebrated in many traditionally Christian and Catholic countries. But why is that? To find out more, read our last article on the relationship between Halloween, All Saints’ Day and the Day of the Dead.